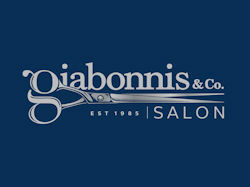 At Giabonni's Riverside Salon & Spa we have always offered the very best in hair products and now we are proud to bring our clientele the best in beauty products! We are proud to announce that we will now be carrying jane iredale products, and will using it for our skin care facials and makeup applications. This exclusive beauty line uses the highest quality ingredients available to ensure satisfaction with performance, coverage, application and texture. The natural high quality minerals are used to interact with light which gives the make up a soft-focus effect. jane iredale is also certified cruelty-free by the Coalition for Consumer Information on Cosmetics' (CCIC) Leaping Bunny Program, the leading internationally respected animal protection group for cruelty-free certification. jane iredale has the skin cancer seal of recommendation, to earn this recommendation a manufacturer must provide scientific data showing that its products sufficiently and safely aid in the prevention of sun induced damage to the skin.